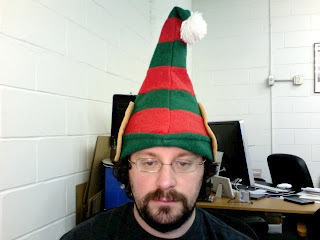 Another elf hat. This one has ears sewn on to it. 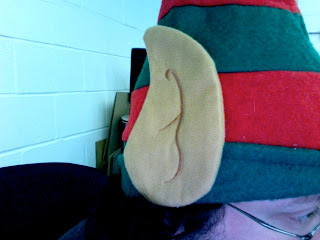 It turns out that elf ears point towards the back, apparently, whereas Spock ears point towards the front. Also, here is some sort of Spock/elf hybrid, for no reason.